But the exchange students did more than just wait for a train throughout the course of the week. They traveled together, with their American partners, all over the city, exploring tourist sites usually avoided by native New Yorkers. “You really learn how lucky you are to live in New York City when you see your exchange partner’s eyes glow up at every site” says Alex Abrams (Y1). From the East River to Times Square, the Japanese students had their cameras ready for everything. “I never realized how fascinating New York really was until my partner started taking pictures of everything” notes Anwen Burns (Y1). These experiences reveal another important aspect of the exchange, as it offers a chance for the American students to reflect on the famous city in which they grow up. On Sunday, December 17, the students met back at JFK, this time in the departures terminal. Weary from the long week, they gathered in groups, sad to be leaving their partners. 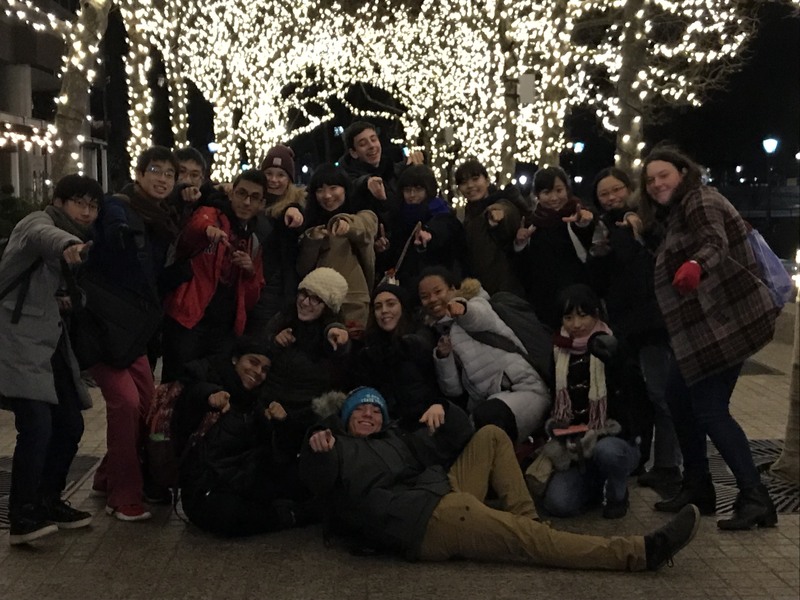 “It was heartwarming to see how close the Japanese and American students have grown in barely a week” remarked Mr. Mikesh, one of the teachers involved in the exchange, The students parted ways, back to their normal life, to the final week of school before break. They had homework to do and sleep to catch up on. But that was when they realized that in three short months, it would be their turn to board the plane.